June 30th, 2018, Charlotte, NC: A happy potluck birthday lunch. 100 guests invited to share a homemade dish to complement the only store bought item on the menu, the birthday cake. July 2nd 2018: Two days later, 40 guests are stricken with intense abdominal cramps, uncontrollable diarrhea, and/or fever. 20 victims are hospitalized, with a number of them admitted to the intensive care unit (ICU). Public health officials encourage all victims to visit their nearest hospital so they may receive pertinent treatment and information on hygiene, food safety, and the disease-causing pathogen, Shigella. And just like that, one tiny nibble of an appetizer, or a spoonful of potato salad, has turned a happy summer get-together into an intestinal nightmare for many. Unfortunately, this is not the only case of a foodborne outbreak this year. As noted in our previous blog, Lettuce investigate!, in April 2018 a serious diarrhea outbreak quickly spread through 32 US states, afflicting almost 200 people nationwide. Its scope was significantly larger compared to the unfortunate North Carolina potluck, as its source of contamination was within the nationwide food distribution chain. Shigellosis is an acute intestinal disease in humans, spread through the consumption of food or water contaminated with gram-negative Shigella bacteria. It takes a mere 10-100 Shigella microorganisms to launch an attack on the body, making it a highly infectious disease. 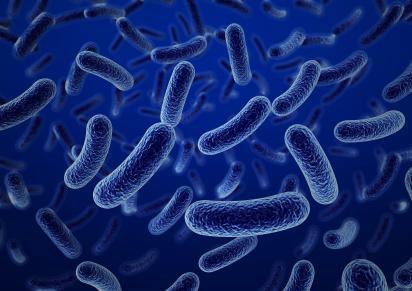 These hardy bacteria escape the acidic conditions of the stomach and down-regulate the production of antimicrobial proteins that are naturally secreted in our guts, to establish an infection in the intestines. An infected individual releases Shigella cells in their stools, which then becomes the source of contamination for the transmission of the disease. According to the CDC, shigellosis is a leading cause of diarrhea worldwide, responsible for over a million deaths a year, with children below five years of age being most vulnerable. DNA fingerprinting of bacteria in stool samples collected from victims at the North Carolina potluck, identified Shigella as the disease causing agent. This suggested that contamination had likely occurred through poor hand-washing of an infected person who handled or prepared a food for the party. The next challenge was to work back through patient interviews to determine which one of the homemade items was the source of Shigella! As Mecklenburg County’s Public Health Director, Gibbie Harris states, “When you have events like that where you have a hundred people, there might be four or five different bowls of potato salad. Someone might have taken potato salad home, we test it, it is positive, but which one of those bowls did it come from?” Testing food leftovers from the potluck, combined with patient interviews, enables health officials to determine which food item was contaminated with Shigella, putting together the pieces of this mystery. In the meantime, the Public Health Department has advised everybody to reinforce food safety protocols, and the 20-second hand-washing routine to prevent future outbreaks. Curious about investigating a Shigella “outbreak” yourself? 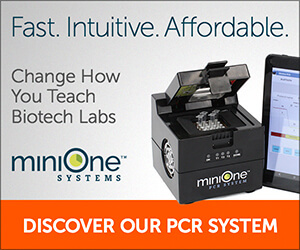 Check out MiniOne’s food safety lab! The MiniOne Foodborne Outbreak Investigation MiniLab (Cat #M3006) is an AP-level lab kit, based on a real Shigella outbreak from 2000. This comprehensive kit introduces student users to the techniques used by public health investigators to trace the path of contamination adopted by a pathogenic micro-organism. Students examine a cohort study to form a hypothesis about the source of contamination then use an electrophoresis experiment to detect the pathogen’s molecular signature in suspected food products. This AP Biology level lab is designed to be equivalent to a college level lab. By learning about the complexity of foodborne outbreak investigations and the microbial pathogens that cause illness, your students will gain a greater appreciation of the science behind the news. The identification and containment of foodborne illnesses is one of the highest priorities of Global Health initiatives, and for students with an interest in science and public health, the MiniOne Lab may be the first step to a career in the world of food safety.